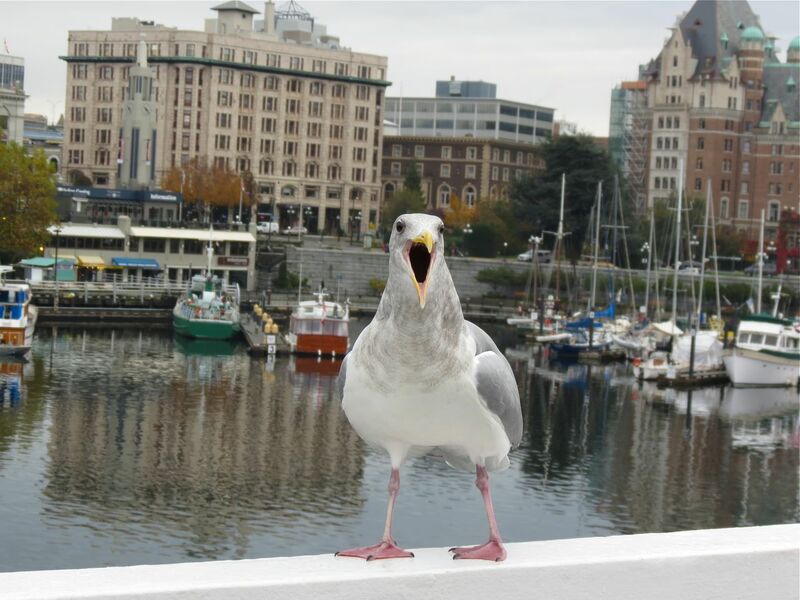 You could almost believe the Glaucous-winged Gull pictured below was announcing the imminent departure of the MV Coho from Victoria harbour bound for Port Angeles on Saturday. 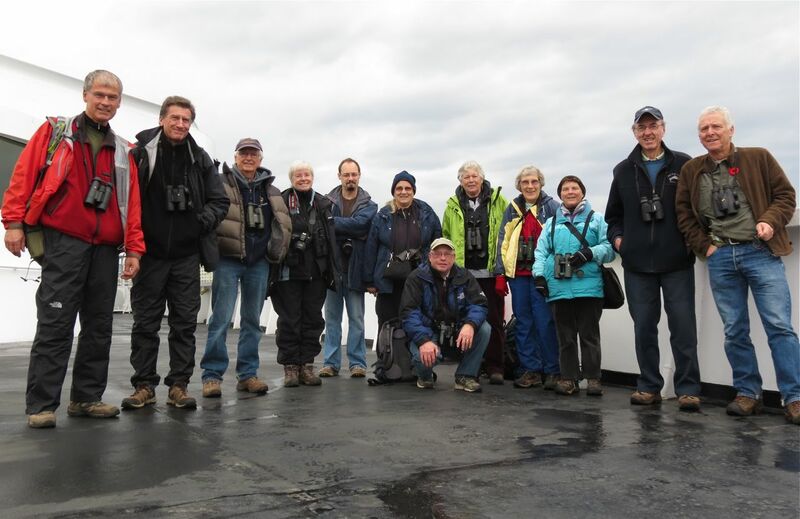 On board were the thirteen participants in this year’s final Two-Day Field Trip for members dressed for all kinds of weather, and ready for the birds. And we were not disappointed, getting into the birds right away as we sailed out of the harbour bound for Port Angeles, Wash. across the Juan de Fuca Strait. With some participants on their first-ever pelagic trip, steep learning curves were the order of the day as rapid-fire sightings of birds were accompanied by equally rapid- fire explanations: the differences between Ancient and Marbled Murrelets, on the water and in flight, and key identification points for Rhinoceros Auckets and Common Murres, the latter in a variety of plumages. The Strait was virtually windless, which probably accounted for the absence of shearwaters, but we did see three Northern Fulmars and truly spectacular numbers of Bonaparte’s Gulls, and alcids. Although we probably needed nastier weather for the birds, nary a drop of rain fell the whole two days. Mike McGrenere was thanked profusely for ordering up such excellent conditions. Day 2 was spent around Victoria’s hotspots and they did not disappoint. 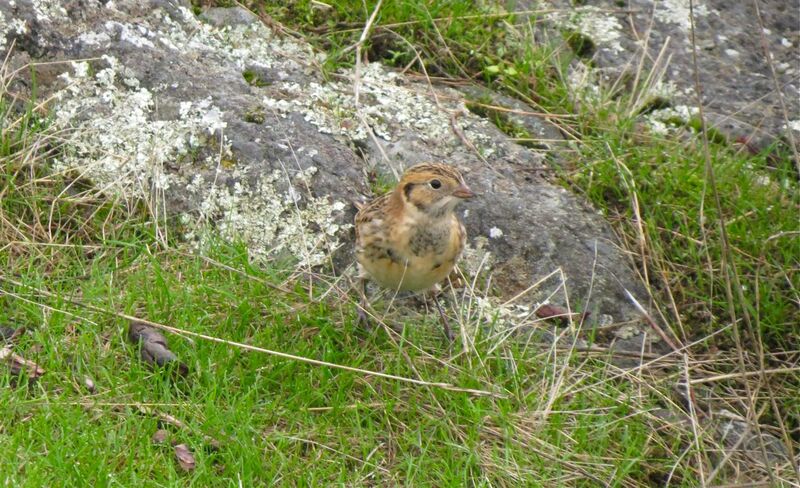 The variety of gulls was tremendous, rocky shoreline shorebirds and sea ducks gave good close views, and we even had treats like this Lapland Longspur at Cattle Point. A full report of the trip with species and numbers, and more pictures will be featured in an upcoming newsletter. Look out for it.